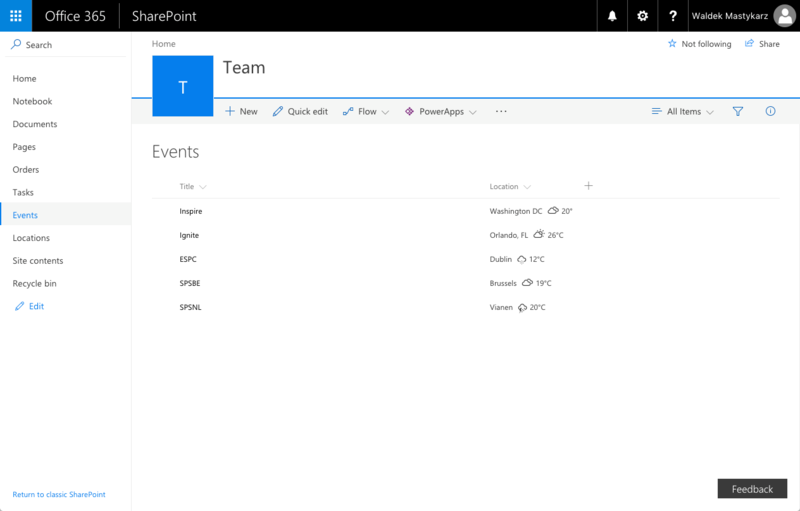 Recently, Microsoft released the developer preview of SharePoint Framework extensions. Here are a few samples that will help you get started. When looking at a new technology, sample solutions help me understand how the different pieces fit together and to see what's possible. I looked for samples when I was learning React, Angular, building Office add-ins and single page applications. To give you a better idea of what's possible with the SharePoint Framework extensions developer preview, SharePoint Patterns and Practices published a few samples on GitHub. The Weather field customizer shows current weather next to the name of the location in a list view. It's built using jQuery and the jQuery simpleWeather plugin. The sample shows you how to deal with loading libraries from CDNs and correctly set up dependencies between them. If you're working with jQuery and its plugins, you should definitely have a look at this sample. 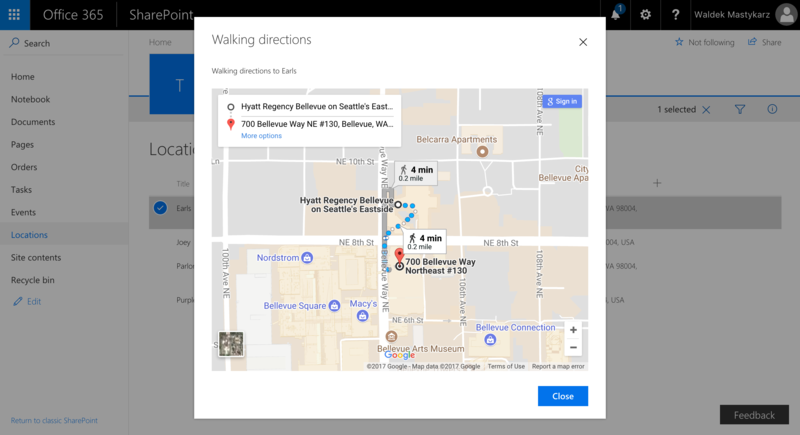 This sample list view command set shows you travel directions from the configured starting location to the location selected in the list using Google Maps. From the three samples I've just mentioned, this is by far the most complex one. It's built using React and the different pieces are built as separate components. 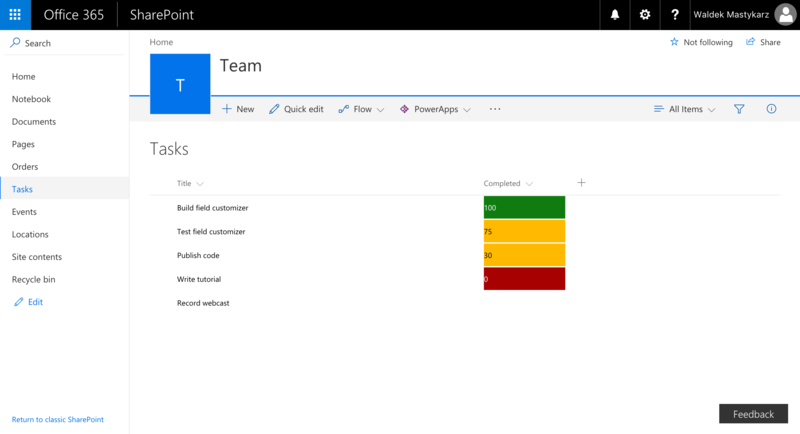 It illustrates using the preview SharePoint Framework dialog API for building custom dialogs. It integrates with the Google Maps embed API to show the travel directions. It also shows how you can respond to the selection of list items in the current view from your extension. Each of these samples contains a detailed readme with setup instructions and the description of the available configuration parameters. If you're interested in SharePoint Framework extensions, I would highly recommend that you try to run these samples and have a look at their code. If you have any feedback or questions, please don't hesitate to reach out to me and the rest of the PnP core team on GitHub.